4C horizontal mailboxes are USPS Endorsed and meet USPS-STD-4C regulations. 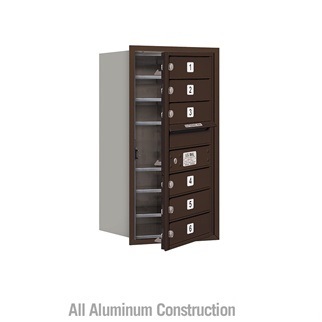 4C mailboxes are required for wall installation mailboxes for new construction and major renovations. 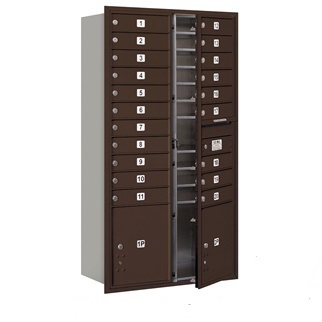 USPS-STD-4C regulation states that one parcel locker for every ten resident compartment ratio is required. 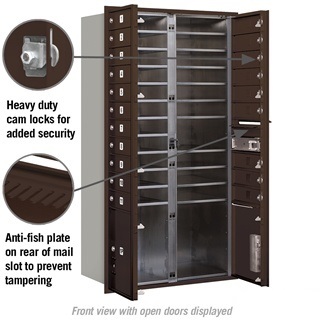 4C mailboxes are manufactured from heavy duty aluminum and stainless steel hardware and are warranted for indoor or outdoor environments. 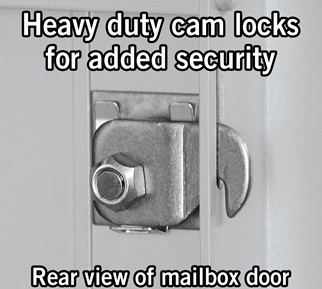 Doors include a heavy duty cam lock with a dust/rain guard and 3 keys. The" Outgoing Mail" compartment is equal to two 3-1/4' high stock doors and is used for outgoing mail collection & as a master entry door. The outgoing mail compartment includes a 10-3/4" W x 3/4" H mail slot and a climate protection hood. 4C horizontal mailboxes include a manufacturer installed 3/4" W x 1/4" D integral trim. All 4C modules are available in four powder coat finishes. Unit weight - 175 lbs. (+$100.00) Custom engraved door identification for 4C horizontal mailboxes offers the customer a permanent clean door identification option. The engraved characters on your compartment doors will be silver with this door identification option because the unit is manufactured from aluminum. (+$100.00) Custom black filled engraving adds a touch of class to your mailbox. Each 4C horizontal mailbox door is engraved with the characters you specify and then filled in with a black ink to enhance the door identification.